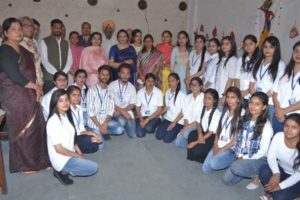 The Post-graduate Department of Fashion Design and technology of Multani Mal Modi College, Patiala today organized a fashion exhibition ‘Creations’. This exhibition was held to provide a platform for the students to display their ideas in the form of fashion creations, designs and products. 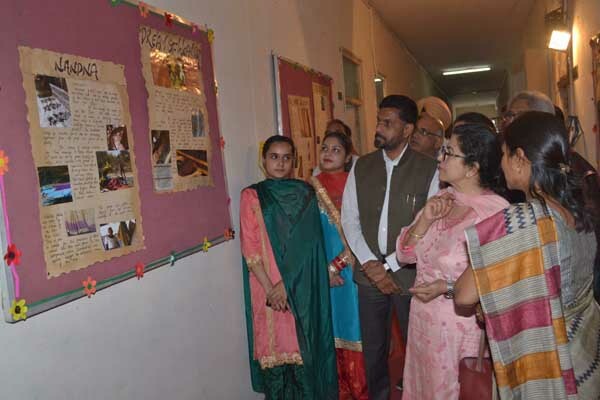 Dr. Trishanjeet Kaur, Dean College development council, Punjabi University Patiala inaugurated the exhibition and presided over the function. 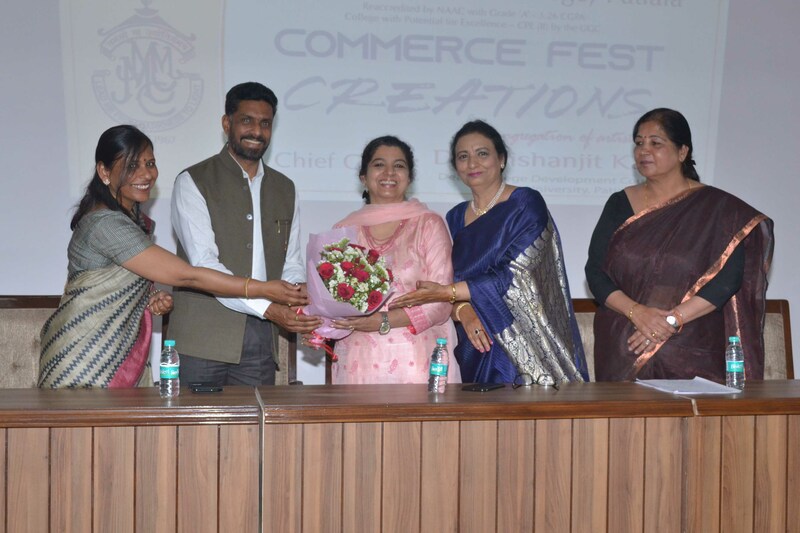 College Principal Dr. Khushvinder Kumar welcomed the chief guest and said that the current era is of experimentation and e-marketing in the field of fashion designing in which professional skills and understanding of the fundamentals of fashion is must. Dr. Baljinder Kaur, Head. Department of English formally introduced the chief guest. 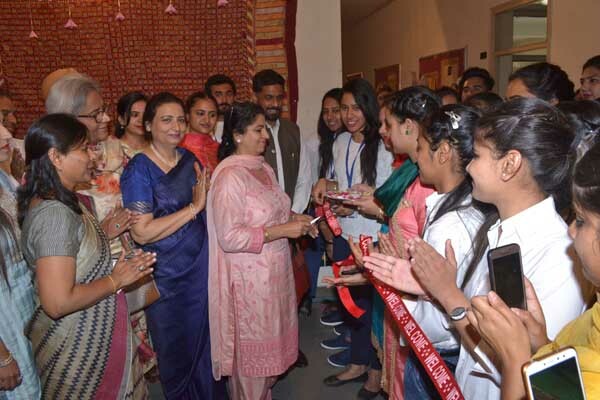 Dr. Trishanjeet Kaur while addressing the students congratulated the college and the fashion technology department for exhibiting a beautifully crafted and aesthetically rich exhibition. She said that such professional courses are crucial for employment generation and self independence. She also distributed the prizes to the winners of different competitions organized by the department. In the competitions ‘Block printing’ event was won by Paramjit Kaur (MSc-I) while in ‘File cover making’ Khushaldeep Kaur (MSc-I) stood first. 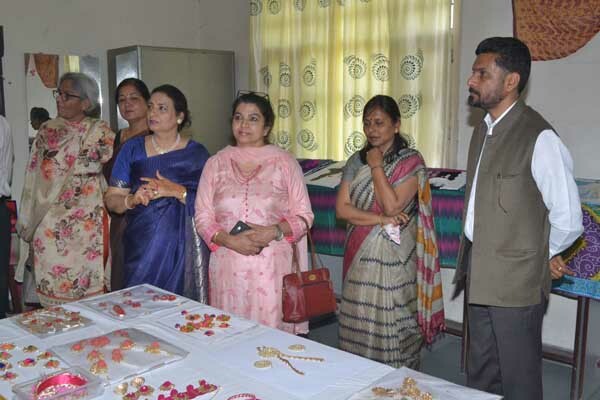 In the category of ‘Poster-making’ Shivani Soni (BSc-III) bagged the first prize and in Gota-jewellery making Simranjeet Kaur (BSc-I) won the first position. 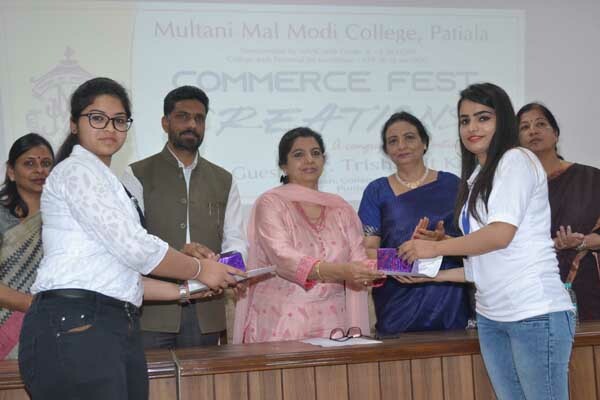 On this occasion Dr. Trishanjeet also facilitated the winners of various competitions held by the Post-graduate Department of Commerce of the Modi College. Dr. Neena Sareen told that 500 students participated in 9 different competitions which were organized to equip the students with new skills and techniques and to polish their potential. In these completions, Komal and Prashant (Team 6) stood first in ‘Quiz’, while a team comprising Sahil Goyal, Taneesha, Parul, Vishaka Singla and Jashika bagged first position in ‘Treasure Hunt’. In ‘Group Discussion’ Manjot Kaur stood first and in ‘Case study’ competition Tarun won first position. In ‘Ad-Mad Show’ first position begged by Jahnavi and in ‘Poster making’ Shivam stood first. In ‘Documentary Making’ competition, first position was bagged by Reetika, while Damanjit Kaur stood first in ‘PPT making competition’. In the category of management games Navindera Singh and Sumit begged the first position. The stage was conducted by Prof. Parminder Kaur, Department of commerce and Vote of Thanks was presented by Prof. Neena Sareen, Head of Department, Post-graduate department of Commerce. On this occasion a large number of students and all faculty members were present.